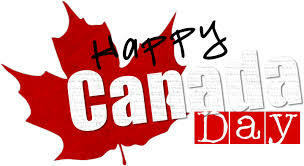 First of all, HAPPY CANADA DAY to all my Canadians out there!!! This is the first week home with the children since school let out. Last week I was rushing about like a mad-woman decluttering the basement so that we would have a nice area to escape the heat and for movie time where I could get a little bit of a break and catch up on what I need to do. I barely got it done but it's definitely in good condition for them to play with lots of space! On Sunday night I had a brainstorm on some teachable moments for the children as well as some help for me around the house. I want to instill good habits and keep them off electronics, not bored and also getting in some learning time while making it fun. Big goals, I know. They are excited, I am excited, my timer is getting charged so we can keep the day moving along. It's going to be a great summer if it works! How do you get stuff done and keep the kids day full and fun?